New toy alert! The new LRF season is nearly upon us, so I'm busy preparing for the return of our saltwater mini species. 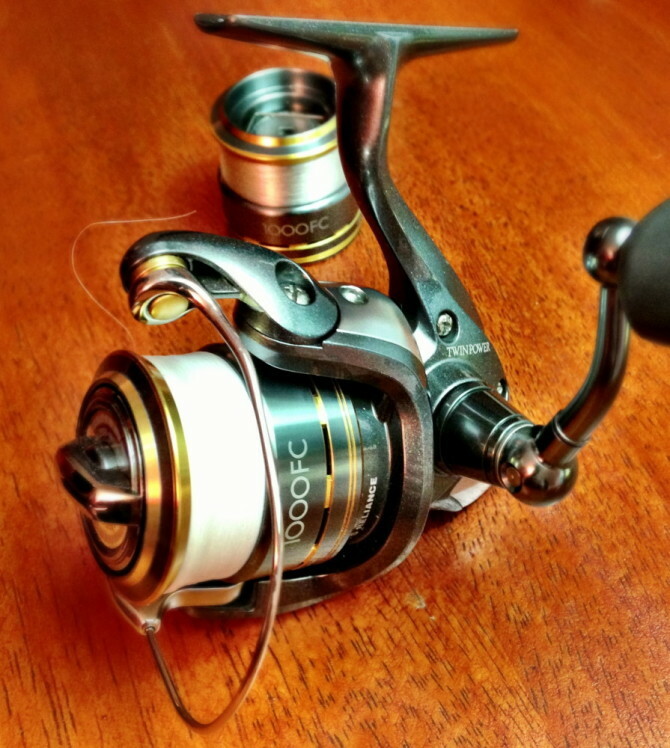 Obviously I needed a new reel - not - but I fell for the charms of this tiny little spinning reel - a mint Shimano Twin Power 1000FC. Basic logic behind this purchase was that I've been searching for a spool for my 2500 Stella for over a year now (poor me) and this Twin Power came up for not much more, including two spools. So now I have a few more line options to play with. Firstly, if you opt for a 1000 size Shimano, prepare yourself for an almost unexpectedly small fishing reel. They are tiny and might not suit a heavier rod. Ideal for an LRF rod rated to around 5g but perhaps a little small for an LRF rod with a 10g rating. Having said that, I will definitely be contradicting myself here. Just warning you! I've been a little silly with line choice. I'm going to be testing 2lb Fluorocarbon on one spool and 2lb Nanofil on the other. Hopefully I'm not too rusty after the winter - both knots and skills. We'll see how we go. Certainly mini species only, but I'm expecting an influx of 2.1lb fish... obviously! I'll let you know my progress with these lines. And of course the reel.